Dr. David A. Hanscom M.D. Dr. David Hanscom is a board certified Orthopedic Surgeon, specializing in surgical correction of complex spine problems in the cervical, thoracic, and lumbar spine. He has expertise in both adult and pediatric spinal deformities (scoliosis and kyphosis.) He devotes a significant part of his practice to performing surgery on patients who have had multiple failed prior spine surgeries. Orthopedic spine surgeon, Swedish Neuroscience Specialists- Swedish Medical Center, Seattle, WA. Co-director of the Swedish Neuroscience Specialists spine fellowship- Seattle, WA. USA. Chairman of the Scoliosis Research Society non-operative care committee – 2019. Dr. Hansom's medical degree is from Loma Linda University. His residency training began with internal medicine in Spokane, WA. (1979-1981), followed by Orthopedic surgery training at the University of Hawaii (1981-1984). He did an Orthopedic Trauma Fellowship at U.C. Davis in Sacramento, CA. He completed a Spinal Deformity Fellowship in Minneapolis, MN at Twin Cities Scoliosis Center in 1986. By 2006, a self-directed structured pain treatment protocol evolved through Dr. Hanscom's extensive personal experience suffering chronic pain, understanding the current neuroscience research and implementing the concepts with his patients. It is called the DOC (Direct your Own Care) process. His book, Back in Control: A Surgeon’s Roadmap Out of Chronic Pain is the basis of his program. He founded the Puget Sound Spine Society in 1987. It is a non-profit educational group providing a forum for physicians and providers from multiple specialties to share ideas, regarding optimum spine care. Optimizing Performance In and Out of the OR is a process, which teaches athletic performance principles to physicians, especially to surgeons in the operating room. He co-founded the program with his golf-instructor, David Elaimy in 2006. It is now integrated into the fellowship training. The key is consistency of performance and enjoying the day. The strategies and coaching also address stress and burnout, which also adversely affect performance. Kerber Applied Research Inc. has been an innovative research and development company for over 30 yrs. in North America. K.A.R. specializes in electronic design and development, as well as creating prototypes from conceptual ideas through to finalized products. K.A.R. has developed original products in the Medical, Electrical, Industrial, and Oil fields. Dr. Ko completed residency training in Family practice, Emergency medicine and his current specialty of Physical Medicine & Rehabilitation (PHYSIATRY). Acupuncture Foundation of Canada (education committee) and the Association for Applied Psychophysiology and Biofeedback. As an active member with the American Association of Neuromuscular and Electrodiagnostic Medicine, Dr. Ko’s expertise has included EMG-Nerve Conduction Studies and Quantitative Sensory Testing for neuropathic pain. He is certified with the American Board of Physical Medicine and Rehabilitation, American Board of Independent Medical Examiners, American Naturopathic Medical Association and American Board of Pain Medicine. Dr. Ko is the Director of the C.C.I.M. Canadian Center for Integrative Medicine. Dr. Chambers is a Professor in the Departments of Pediatrics and Psychology and Neuroscience at Dalhousie University in Halifax, Nova Scotia. Dr. Chambers’ research examines developmental, psychological, and social influences on children’s pain, with a focus on family factors in pediatric pain & pain measurement in children. She is the recipient of career awards from numerous organizations, including the International Association for the Study of Pain’s (IASP) Ulf Lindblom Young Investigator Award, given to an individual under the age of 40 who has made significant contributions to clinical pain research. Dr. Chambers has served on the executive committees of the Society of Pediatric Psychology and the Canadian Pain Society, is a member of the editorial board of the Journal of Pediatric Psychology, and was a Mayday Pain and Society Fellow (2012-13). 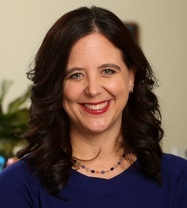 She is a member of the Scientific Program Committee for the IASP’s World Congress on Pain in Buenos Aires ( 2014 ) and is an elected Council Member for the IASP Special Interest Group on Pain in Childhood (2014-2019). Dr. Chambers has a developing interest in using social media to empower patients, especially parents and children, about the problem of pain. Mark has extensive experience in Orthopaedics and Sports Medicine. He is a fellow of The Canadian Academy of Manipulative Physiotherapy . In addition, he has been practicing Neuromuscular acupuncture for many years. Mark is certified in GUNN IMS. Mark's integrative treatment approach involves manual therapy to restore various tissue mobility, and specific exercises to restore function and prevent injury recurrence. Comprehensive education is given to empower the client to maintain and maximize their physical capabilities. Neuromuscular acupuncture and IMS techniques address pain, neuropathic and myofascial dysfunction. BOTOX, Prolotherapy & PRP injections. 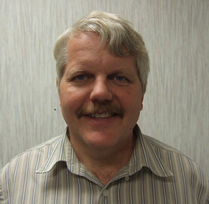 Mark is the Director of Woodbine Physiotherapy. Dr. Jacobs has been involved in the evaluation and treatment of chronic spinal, head, neck and facial pain for over 18 years. He is a Diplomat of the American Academy of Pain Management and past President of The Canadian Academy of Pain Management. 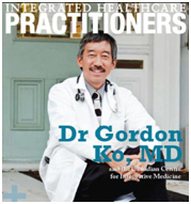 He is past Chairman of the Section of Chronic Pain Physicians of the Ontario Medical Association. 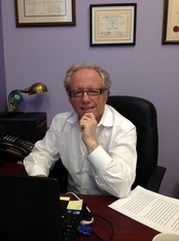 Dr. Jacobs has been qualified as an expert in the area of chronic pain management at the Financial Insurance Services Commission of Ontario and the Ontario court system. He has lectured extensively on the topic of head, neck, facial and spinal pain and has been invited overseas to lecture on Chronic Pain and its Management. He is the Director of The Jacobs Pain Centre, a private clinic specializing in the diagnoses, treatment and management of Chronic Pain. Dr. Patty Verdugo, Doctor of Psychology. Special Interest in Chronic Pain. Pahrump, Nevada . 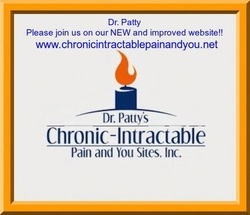 Founder of CIPAY: Chronic Intractable Pain and You sites, for Chronic Pain Patient Advocacy.